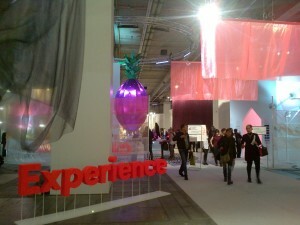 A foodie at the world’s biggest textile fair? Guess why! Textile and food have a lot in common. Worldwide both belong to everyone’s daily life from morning till night. With traditions of several thousand years and a promising future in a technologized world, both reflect strong individual preferences as well as societal developments. Heimtextil Fair is known for their “trend forecasting scenarios“, which are developed by renowned international trend experts. This year the 4 major trends “Sensory”, “Mixology”, “Discovery” and “Memory” were staged under the overarching theme “Experience”. All 4 trends are about experiencing individual feel-good factors. The “Sensory” stands for stimulating all senses, “Mixology” for cross-cultural exchange, “Discovery” for envisaging the future and “Memory” for consideration and re-evaluation. These trends also apply to food themes and beyond that to the whole travel experience. In view of these trends relevant topics like, hospitality, retail, craft, technology, sustainability, food etc. were spotlighted in an attractive and interactive way to show the challenges and opportunities. All those aspects are also crucial in regards to the passengers touch points in their individual “Travel Experience”. We at LSG SC focus on them, in particular how to translate those touch points into the right products and services. This involves matching the specific airline brand with the right “feel-good factors” for (y)our passengers.